Being an athlete takes more than just raw talent and the ability to kick or throw a ball. Being an athlete goes beyond the rigorous training, beyond the two-a-day practices and long tournaments. Through the sweat and tears and absolute exhaustion, the one thing that separates a true athlete from the others is one simple, yet desirable trait: passion. 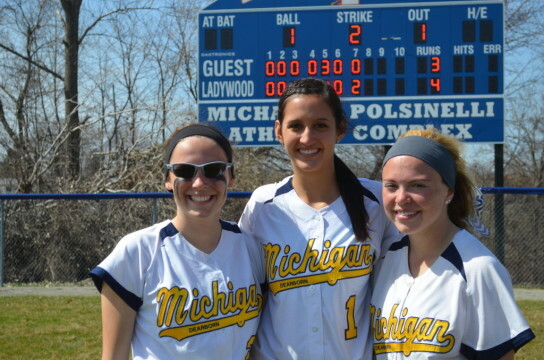 Overwhelming passion, strong athletic backgrounds and an unyielding friendship is what makes three remarkable women the powerhouse of the University of Michigan-Dearborn’s softball team. Before taking the field for the Wolverines, Paige Altherr, Maria Rodriguez and Valerie Bertani shared a few common aspects; including their alma mater and their ultimate love for the game of softball. “I have been playing this sport since I can remember,” Altherr said. For these women, learning to hit a ball off of a tee was nearly concurrent with learning how to walk. By the young age of four, falling in love with softball was already in full swing. 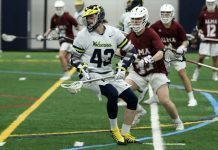 Recreational leagues, travel teams and tournament play added to the repertoire of experience for each of these players. Together, the trio played for notable teams and leagues such as Allen Park Xtreme, Michigan Pride, Finesse Fastpitch, Queen of Diamonds and Michigan Synergy. Being aware of their innate talent and interest in the sport, each of these women admitted to an anticipated college career in their future, with the help of four years at Cabrini High School. 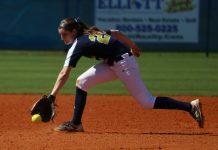 Cabrini’s softball program is known as the “powerhouse program,” as several of its players have often been awarded All-State, All-Region, All-District and many other awards. According to these players, the unmatched work ethic that is taught and portrayed through the coaches allows this juggernaut of a team to transcend over other programs downriver. In addition to success on the field, these three women all commented on the closeness of the players and the positive effect this had on their overall experience playing for such a powerful team. “The entire team was close, actually. All four of my years at Cabrini, the team bonds were incredible. 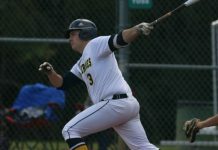 We were more than a team, we were a family and we had each others backs on and off the field,” Bertani said. Little did they know, this bond would continue over the next few years, as this trio would play together as Wolverines. In 2012, Bertani and Rodriguez signed for UM-Dearborn, with Altherr joining them a year later. Since they have played together for most of their lives, their chemistry and closeness is unrivaled both on and off the field. The trio hopes to use teamwork to their advantage as they plan to dominate the competition this season. “My personal goal is to be the best individual I can be so that I can contribute and help our team achieve our goals,” Rodriguez added. 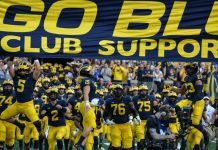 With strong coaches and an even stronger team, the outlook for this season is incredibly positive, with expectations of big wins and championship titles. “Not only is there a goal to win, but to have fun everyday doing what we love,” Bertani said. Perhaps one of the most inspiring traits about a person is the way they talk about their passions; the things they dedicate their lives to, for the enjoyment and for the experience. For these three passionate and talented athletes, softball is their thing, and they prove to be great assets to the UM-Dearborn’s softball program.